It is time to vote for our future, our children’s future, and our grandchildren’s. We can start building a sustainable, low-carbon society. We can have healthier children and adults, and a huge variety of exciting new jobs. We can be making our contribution to a better world while living better lives ourselves. 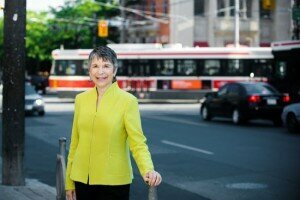 Here you can read about how Green Party policies will improve Toronto Centre. Toronto Centre deserves a riding-focused M.P. My vision for Toronto Centre is this: small groups I will call Community Democracy Ambassadors will join me, for a few days each, to see what Ottawa has to offer to address concerns. Then, back in Toronto Centre, we’ll explore how to follow up here. Community Democracy Ambassadors will travel back and forth with me on the train to and from Ottawa, and share breakfasts I’ll host, discussing issues of mutual interest. Over time, more and more people in Toronto Centre will be knowledgeable about and engaged in our federal governmental process. The Green Party budget is based on ending subsidies to environmentally-damaging industries, and taxing what we don’t want (like carbon dioxide emissions) to fund what we do want, such as family well-being and meaningful employment. Ending government subsidies to the oil, gas, and nuclear power industries will save billions. Our generation has the potential to capitalize on the single biggest business opportunity in human history – the shift to a low-carbon economy. Our carbon tax will enable reductions in income and payroll tax, and will permit income-splitting to reduce the tax burden on families. Research funded by the federal government, obtained by the Green Party via the Access to Information Act, demonstrates that the Green Party’s proposal, a $50/tonne carbon tax, would cut greenhouse gas emissions while opening tremendous economic opportunities. This new tax, when paired with Green Party cuts to our old taxes would, according to this research, result in no net increase in taxes collected. At the same time, it would give individuals the option to save money by adopting environmentally-sound practices, and give businesses the incentive to meet demand locally. The Green Party’s plan, by putting more money in individual and corporate hands, will enable more hiring, more investment, more marketing, more research and development. At the same time, revenue the government collects will be used to foster programmes that enhance our lives and improve our environment. We don’t need to continue our overdependence on fossil fuel. Wind, solar, and geothermal power, and conservation and efficiency measures, are viable and tested alternatives, widely used elsewhere in the world, and making some progress in Canada. The Green Party’s tax plans (see Ellen on our economy) will foster expanded use of these options. Just one example: Denmark’s economy has grown significantly, while cutting emissions, with the expansion of wind power there. Air: The Green Party will use the Canadian Environmental Protection Act to reduce contaminants. Keep it: no large-scale exports. Conserve it: pricing at fair value, regulations assuring quality. Protect it: funding to municipalities for up-to-date purification systems. Chemicals: now, government must prove a product is harmful; the Green Party believes industries should have the responsibility of proving their products are safe. The Green Party will restrict the use of toxic chemicals, and will establish a Toxic Chemical Tax as a first step on the road to eliminating these toxins completely. Scientific Expertise: The Green Party will hire scientists to restore and improve the level of national policy expertise eroded by the governments of the last two decades. Kyoto: The Green Party strongly supports the Kyoto Treaty development process. The Green Party of Canada commits to rebuilding Canada’s health care system. We want to stop creeping privatization, and prevent the establishment of a two-tier system. We need to stop hearing about wait time reductions – we need wait times reduced. We will help new medical professionals reduce their student debt. We are calling for more beds, particularly for convalescent and long-term care. Our fully-costed platform includes $900 million for a national pharmacare program. We pledge $300 million a year for three years to start universal pharmacare, and a bulk drug purchasing agency. We commit to making new drug patent protection times shorter. Our Green policies will encourage the growth of a successful generic drug market. We support a comprehensive mental health strategy. And we want to emphasize prevention, and include complementary and alternative medicine. Our cities need help. Our succession of federal governments has not noticed that eighty percent of us live in urban environments. We need to ensure that our cities are healthy, safe, wonderful places to live, with good jobs and a range of meaningful activities. Here are some Green Party policy highlights. Building, and retrofitting, enough affordable, energy-efficient homes must be a priority. We need to ban handguns in our cities, and combat weapons smuggling effectively. Focusing on public transit (e.g. tax deductions for transit users, free passes for those below the poverty line), and for bicycling, for car-sharing, and for pedestrians, would dramatically improve our quality of life. Support for the arts nourishes our hearts and souls, and is also good for our economy. We can eliminate poverty in Canada. The 15% of Canadians now living in poverty include one million children. The Green Party platform includes a guaranteed livable income (GLI). Eliminating financial needs tests will save money by shrinking government bureaucracy. This will be implemented in co-operation with other levels of government throughout the country, to ensure fairness and responsibility. Implementing the GLI will take time. First steps will include not taxing those below the poverty line, increasing the Guaranteed Income Supplement for seniors by 25%, and ensuring financial assistance for low-income family members who provide end-of-life care at home for people who would otherwise need to be in hospitals or other facilities. The GLI will end shame-based programmes, and mean government can focus on social services to concentrate on mental health and addiction. And other initiatives, such as for affordable, energy-efficient housing (see Ellen on cities), will make a huge difference. Human rights for all are essential. The Green Party specifically addresses the needs of many groups which our society has traditionally not treated fairly. Equity for people with disabilities enhances life for all. Equal treatment for all genders is an obvious principle for me. Canada’s First Peoples have too often been last on the list. And our most recent community members, our new Canadians, deserve fairness, too. Just one example: improved language training and more appropriate means of establishing professional credentials that fully meet Canadian standards will enable more new Canadians to more quickly become full participants in their communities. * for 40,000 young people (aged 18-25) each year for four years (160,000 jobs). Each participant will earn federal minimum wage for a year, and also be awarded a $4000 tuition credit for further education and training. This will not increase taxes, or Canada’s debt; it’s part of our intention to restructure the tax system to earn revenue from activities that degrade the environment while funding activities that enhance our lives. We need a process that addresses how today’s technology can better serve us all, throughout the entire chain from creators through distributors to end users and consumers. We must base copyright legislation, for example, on the needs of everyone involved, so that it serves artists and software developers, is fair to merchants and the general public, and can be enforced efficiently and non-invasively. The Green Party is the first political party to support OpenMedia.ca, bringing political attention to Canada’s Internet needs. A decade of governmental neglect is stifling Canada’s economy, our global competitiveness, free expression, and Canadians’ personal budgets. We are committed to enhancing broadband access, competition, transparency, and choice. The Green Party platform offers a comprehensive plan, with policies that relate to and support one another. The platform is fully-costed. It draws on homegrown Canadian expertise, and also on proven programmes that have succeeded in improving life, health, and welfare in the Scandinavian countries, Germany, France, Australia, and more. For the full programme, visit the Green Party’s website, http://www.greenparty.ca, and click Platform.